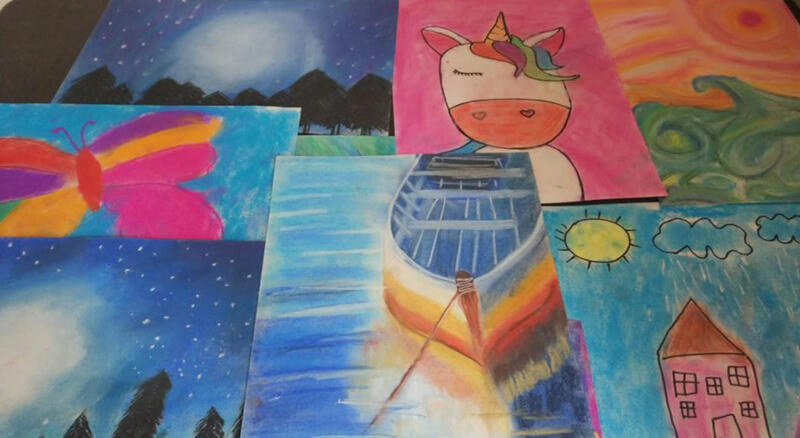 A curated module to introduce youngsters to authentic and right techniques of Soft Pastel art/ Charcoal Painting, Calligraphy & Typography, Finger Painting in Acrylic, Pointillism, Sketching superheroes/supergirls, Paper sculptures, Coffee Painting, Decoupage, Clay Art/ Terracotta coiling, Block Printing and more! About the trainer – Micky Sujan is a free-spirited artist who gets inspired by day to day life. A designer by profession, her strengths are pencil sketching and acrylic mediums. The artist also loves working with colored charcoal watercolor and oil. Mixed medium is her passion; learning and teaching various types of paintings keeps her motivated. The Art Summer Camp will be held in 2 Batches. Parents can choose to enroll their children in either Batch I or Batch II or both. We will be covering different mediums and art forms in both batches.